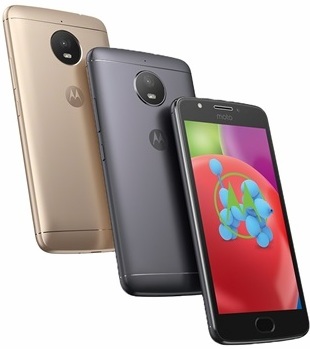 Motorola today announced that moto e4 plus, one of its most popular smartphone, will also be available on Amazon.in. The phone will be available starting 4th January in two colours - Iron Gray and Fine Gold. The smartphone offers great battery life, superior Pure Android experience and exceptional value to smartphone users with its contemporary design, best in class performance and affordability. moto e franchise has revolutionized the smartphone segment in this price tier since its launch, by offering products that not only meet consumer needs but exceed expectations. Today moto e family is 5 Million+ units strong and Motorola has been able to drive this successful franchise by ensuring that we understand customer expectations and meet or exceed them. moto e4 plus is outfitted with a vibrant, 13.97 cm (5.5”) HD display wrapped in smooth metal body. With a massive 5000mAh battery, you can keep going, without worrying about recharging for up to 48 hours** and fuel up fast with a 10W rapid charger. moto e4 plus also packs a 3GB RAM and 32GB internal storage that’s expandable up to 128GB with a dedicated MicroSD card slot. moto e4 plus is also available on Flipkart and Moto Hub stores across the country.